Forty-five-year-old officer Shi Zongwei from central China’s Henan Province publicly announced his withdrawal from the Chinese Communist Party (CCP) in response to being removed from his post on June 17. His dismissal was reportedly in part because of his participation in local dinner parties for bloggers, a new form of democracy movement. 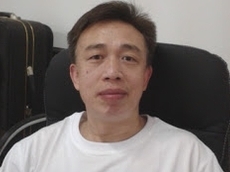 According to Chinese Human Rights Defenders (CHRD), on June 17 the Yellow River Zhengzhou Bureau’s Party organization notified Shi Zongwei of the decision to relieve him of his position as Deputy Director at the Bureau of River Engineering. “First, I have a clear conscience; second, I pursue righteousness; and third, I never violate any state laws. When people die after having been detained by the CCP, their families and the public are often told that the death was a suicide. Because these occurrences have become so commonplace, many now make public statements before being incarcerated, clearly indicating that they would never kill themselves. The gatherings known as “local dinner parties” are a new voluntary citizens’ movement prompted by China’s popular social media, in which like-minded people assemble to discuss the issues revolving around democracy, rule of law, freedom, and human rights. Like other democratic movements, such gatherings have also been suppressed by the Chinese authorities. On June 9, Shi posted a series of photos on Tencent Weibo (a popular social media in China similar to Twitter) about the Xiamen bus fire accident, which killed at least 42 people and injured dozens on June 7 in Xiamen City, southeast China’s Fujian Province. He wrote on his blog: “The Xiamen bus fire accident is just another wake-up call, telling us not to be so indifferent to the sufferings of those around us, because we are all sitting on the same vehicle. Shi also wrote on his blog: “Why have we become so apathetic, and why can’t we wake up? Because we’ve been cheated and brainwashed, we’re blind to the truth. Since we were born, we’ve been surrounded by an autocratic culture. “The most basic, effective and simplest way of waking people up is to apply a proper remedy. In other words, deprogramming by spreading the truth, bringing the truth of history and reality to light,” he added. Shi believes what needs to be done urgently is to wake up the Chinese people, and that that is China’s greatest hope for the future. Translated by Euly Luo. Research by Aifang He. Written in English by Barbara Gay. A Chinese military official says that social media is a place for psychological warfare against subversive Western ideas like democracy.